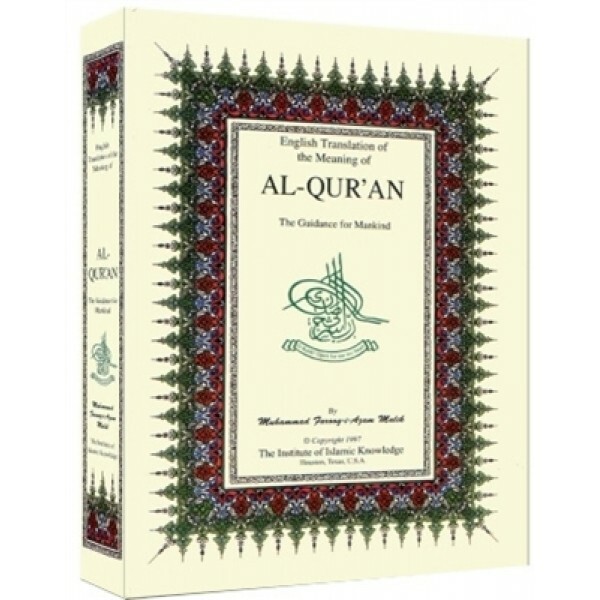 It is a unique translation of the Holy Qur'an in contemporary American English. It includes the Biography of the Prophet Muhammad, peace be upon him, his mission as a Prophet, his ranking as in the human history. 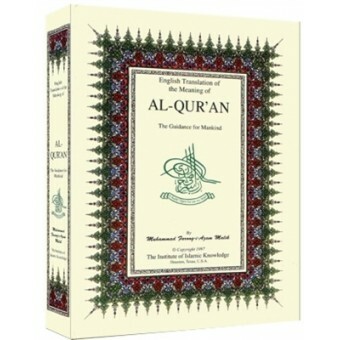 It includes the entire Text of the Holy Qur'an. Its features include - (1) Field Testing the Communication of Divine Message: The unique feature of this translation is its field testing for over 3 1/2 years to improve the communication and understanding of the Divine Message. Translation passages were given to the New Muslim and Non-Muslim high school and college students for reading under the supervision of various Ulema (scholars). After reading, the person was asked to explain as to what he/she understood from the passage. If his/her understanding was the same as is in the Arabic Text of the Holy Qur'an then we concluded that we have been successful in conveying the Divine Message properly. If his/her understanding wa! s different than what the Qur'anic verses were stating, we kept on rewording the translation until those verses were understood properly. It was tremendous patience on part of the participants. May Allah reward them all. (2) Simplicity: In this translation Simple Language and Direct Approach is used for appealing to the common sense of scholars and common people. (3) Understandability: There are no foot notes to refer and no commentary or lengthy explanations to read. All necessary explanations have been incorporated right there in the text with italic type setting to differentiate from the translation of the meanings of Qur'anic Arabic Text. (4) Outline of Pertinent Information: Before the start of each Srah, information relating to its Period of Revelation, Major Issues, Divine Laws and Guidance has been presented as an outline. Then a summary of the preceding events has been tabulated for the reader to understand the historical background to grasp the full meaning of the ! Divine Message. (5) Reviews, Input and Approvals: This proj! ect was started in 1991 and initial draft completed in 1994. Then the Translation was sent to different Ulema (Scholars) in Town and throughout United States for their review and input. After their reviews and input it was sent to Jme Al-Azhar Al-Sharif in Egypt, Ummal Qur in Saudi Arabia and International Islamic University in Pakistan for their review, input and approval. This translation was published after their reviews and approvals.